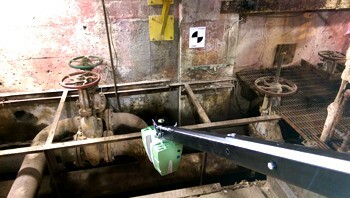 Elevator shaft arm captures data on existing elevator shafts. 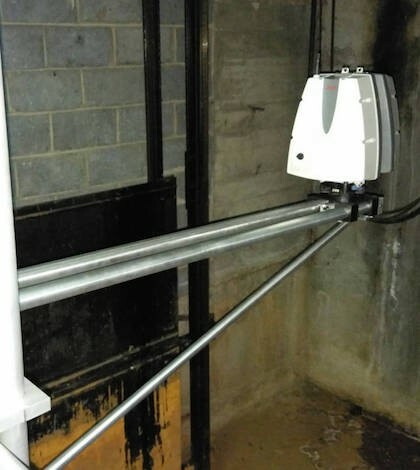 Leica P-20 Scanner Inverted to capture below-grade trench detail. 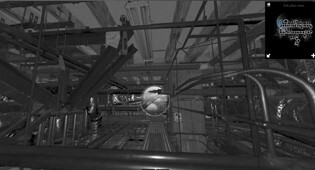 Jib used to invert laser scanner to capture dimensions not accessible utilizing traditional field measurement techniques. 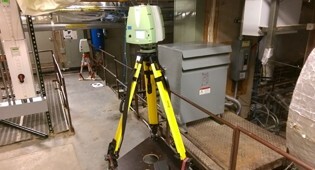 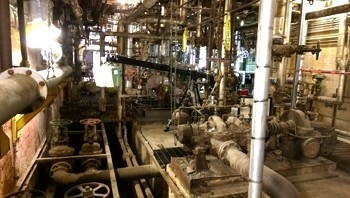 3D Laser Scanner inverted to capture below-grade Mechanical, Electrical and Plumbing (MEP) features. 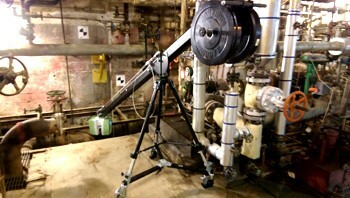 HDS Scanner on mini-tripod to capture varying heights and line of sight. 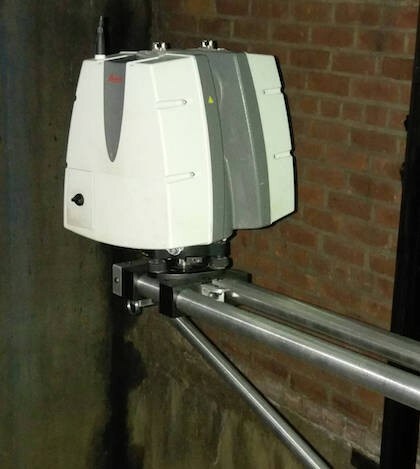 3D Laser Scanner Capturing Mechanical, Electrical and Plumbing (MEP) features without leaving the safety of the catwalk. 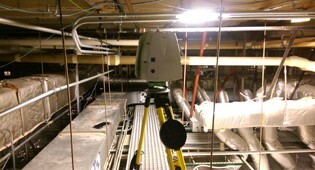 Leica P-20 capturing Mechanical, Electrical and Plumbing (MEP) features in hospital interstitial space. 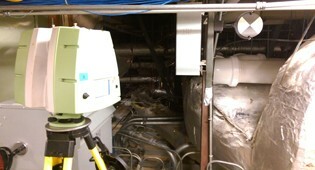 Using multiple laser scanners at one time in order to meet tight schedule requirements. 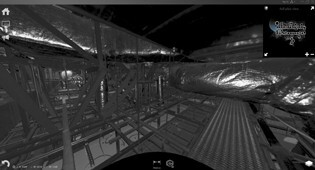 Black and White Recap files of hospital interstitial space. 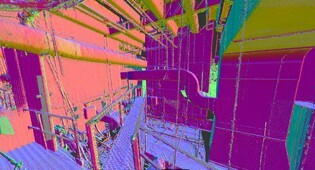 Recap "normal" view of point cloud to show contrast between material types. 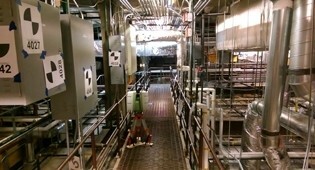 Recap file showing above-ceiling Mechanical, Electrical and Plumbing (MEP) features in hospital.